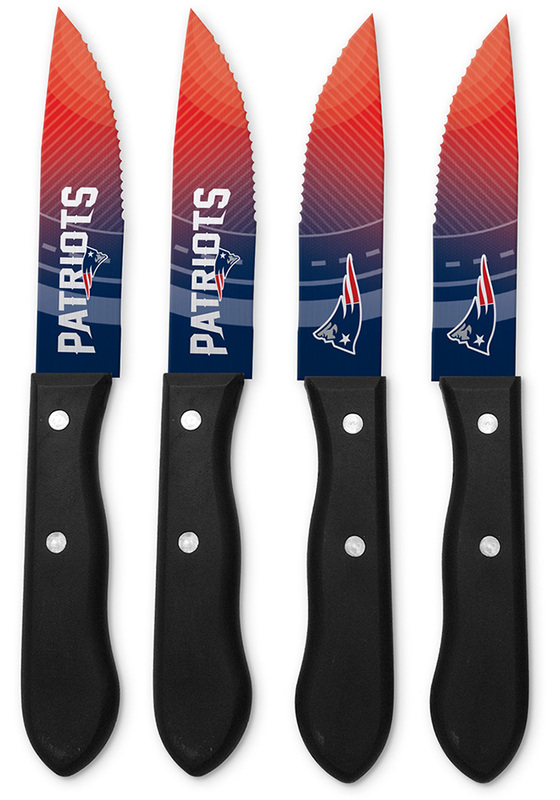 Cut into your BBQ with pride using these New England Patriots 4-Piece Steak Knives. You'll be the hit of the next party when you show off these Knives, which features a licensed team logo on both sides of each blade. The decorated blades are forged from durable stainless steel. The handles are manufactured from polypropylene that is non-slip, soft-grip, and ergonomically sound. The blade is secuRed in the handle with two heavy-duty stainless steel rivets.